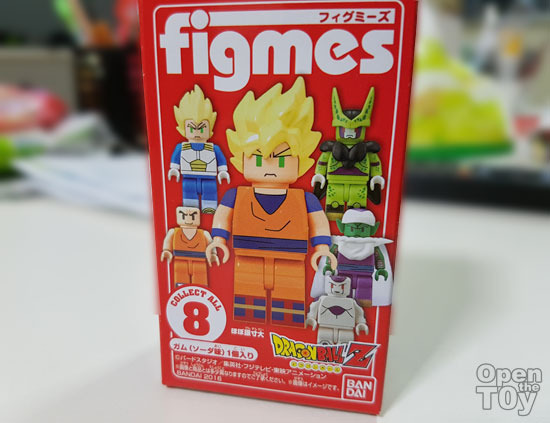 I remember I shared about Bandai coming out some "LEGO" looking figure and I happen to have a chance to get myself one box of the Figmes Dragonball figures. 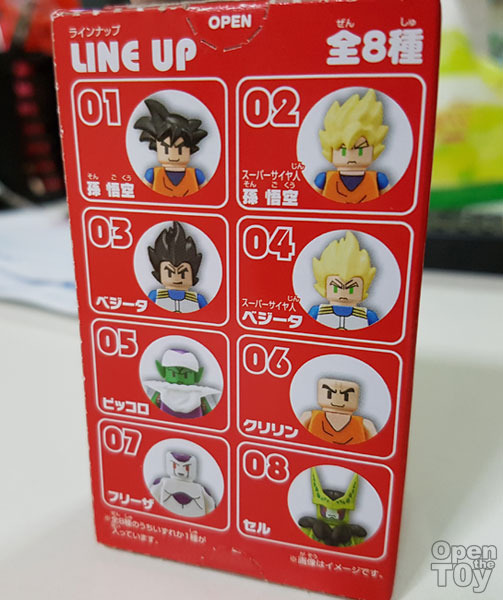 This is the first series and they are all in blind box and having 8 characters in this series. 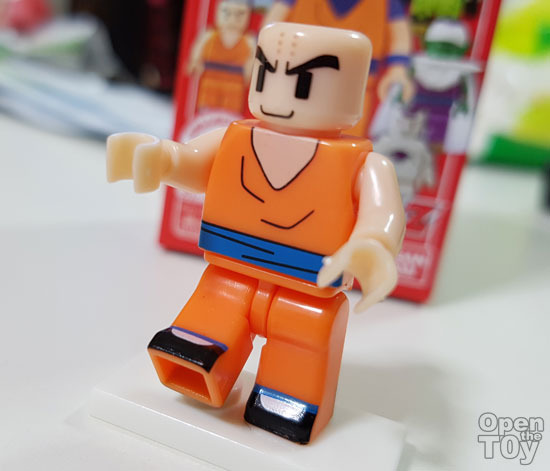 I was hoping to get at least Goku or Vegeta but I got a Kuririn .. The figure comes with candy gum and stand that have round peg for figure to stand on. 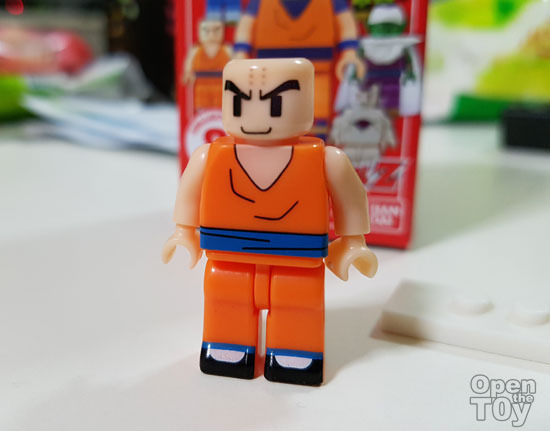 This figure have the same articulation points as LEGO minifigures. 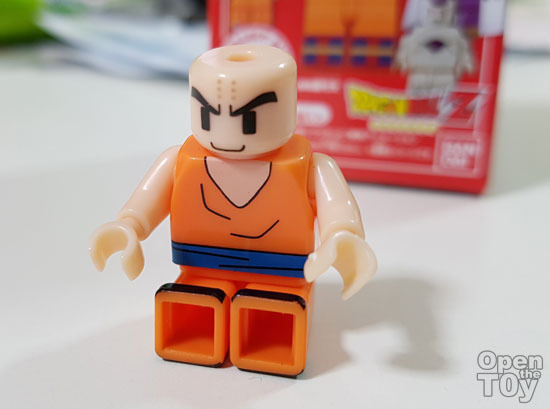 However the bottom of the feet do not have circle holes like LEGO but Square on instead. 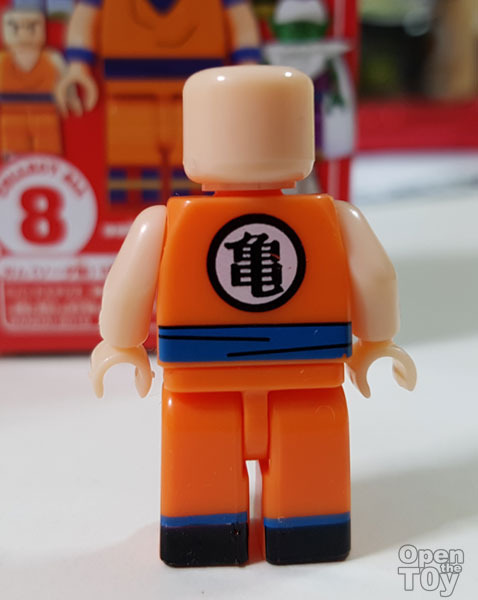 Just like in the Manga or anime the back of Kuririn is having a the symbol. 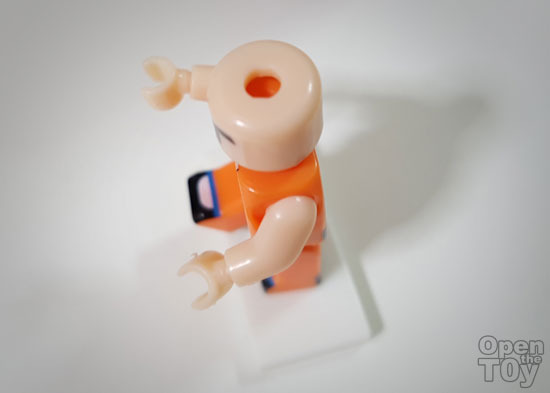 They are no circular holes at the back of his legs like LEGO. 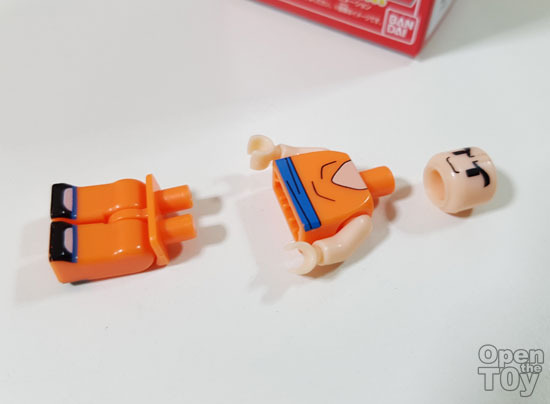 The figure can break a part and I think if you have more Figmes, you can get to switch parts. 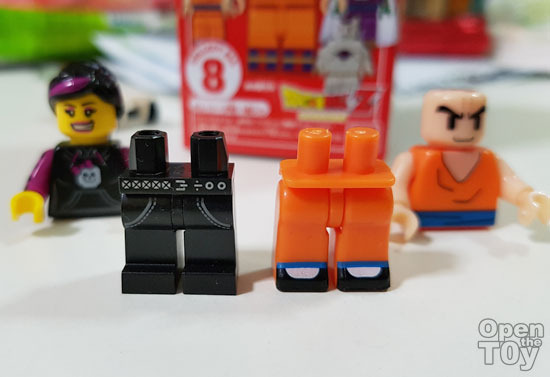 Since I was mentioning quite a lot of LEGO references, I decided to put a LEGO figure to stand toe to toe for comparision. 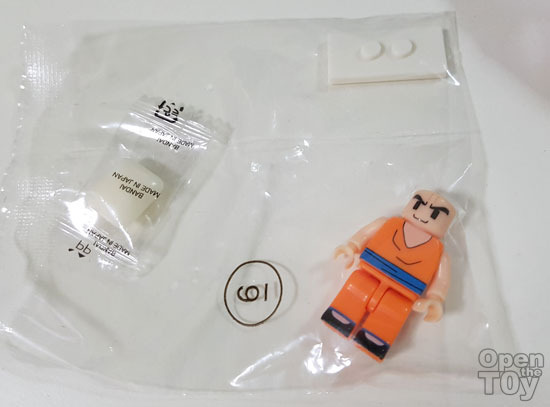 Now let's see if I can swap part between Figmes and LEGO. 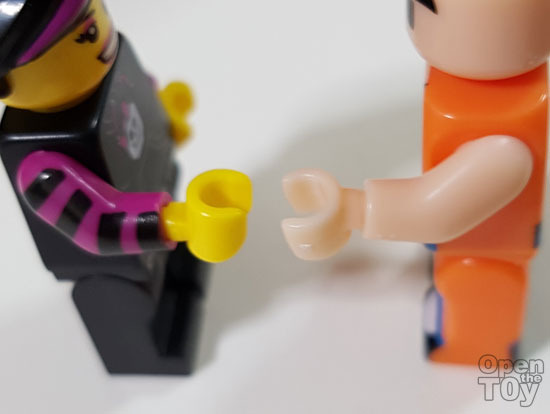 You will notice the joints are different as well as Figmes are totally round while LEGO was kind of hexagon shape. 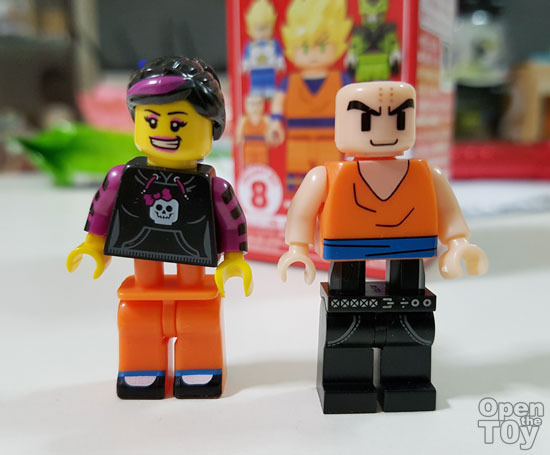 Due to the differences, the parts of the leg and body are not interchangeable. Yes I tired. 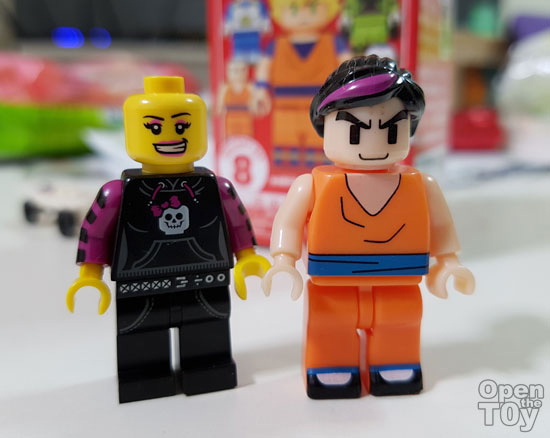 Well I would like to hear from you why do you think why Bandai produce this series of figure?